LIFETIME GUARANTEE– We are proud of our work. Our products come with a 100% satisfaction Guarantee you can trust. IMPROVED slide removal for cleaning and maintenance work, a necessity for any Glock enthusiast looking to improve their weapon. DOES NOT interfere with any holster. The Cross Armory Extended Slide Lock features an extended, but not protrusive design. Will complement any Glock functionally as well as aesthetically. 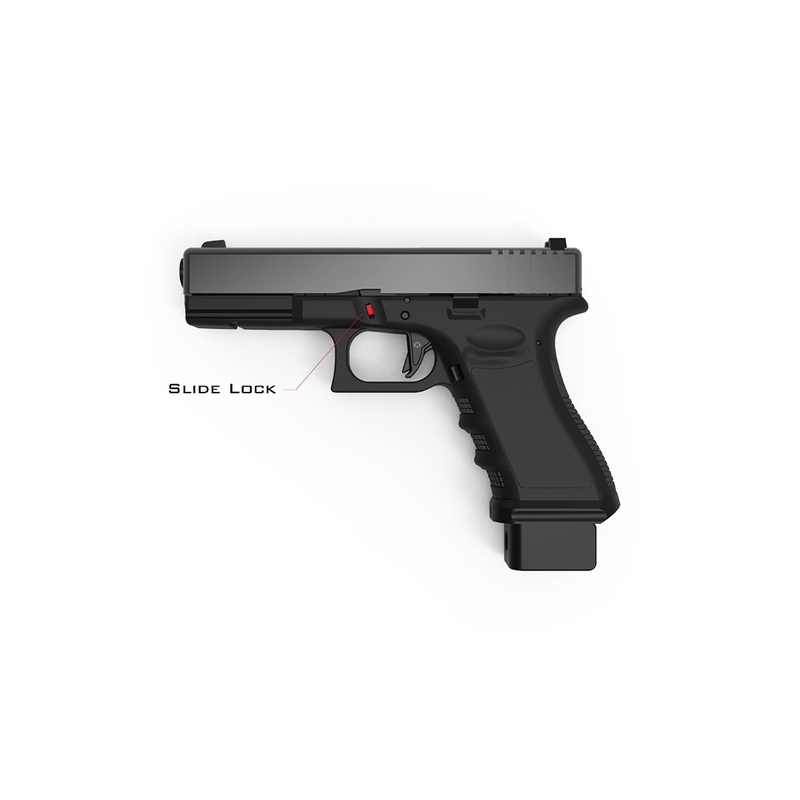 We designed our own extended slide lock because we wanted to offer Glock enthusiasts a quality machined and matching slide lock to go with our other Glock products. The Cross Extended Slide Lock is made from 4140 Ordnance steel and carefully surface treated for corrosion resistance. We have improved the geometry to make the install time minimal, finger response optimal, with increased strength and reliability. The Cross Extended Slide Lock will drastically improve slide removal for cleaning and maintenance work, a necessity for any Glock enthusiast looking to improve their weapon. Remove the slide from the frame. (Pull slide back half of an inch and pull slide lock down. Release the slide and pull trigger. The slide should come free. Push slide forward off of the frame. Use a pick tool of some sort to push the slide lock spring down. 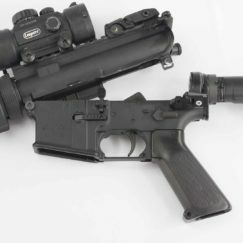 While holding down the spring, remove the existing slide lock. Replace old slide lock with the Cross Extended Slide Lock. Place the Cross Extended Slide Lock back into the frame in the same orientation you removed the old one. 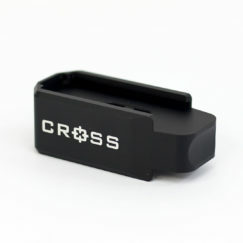 The Cross Extended Slide Lock is not a toy, this part is designed to only be used with the correct listed frames.